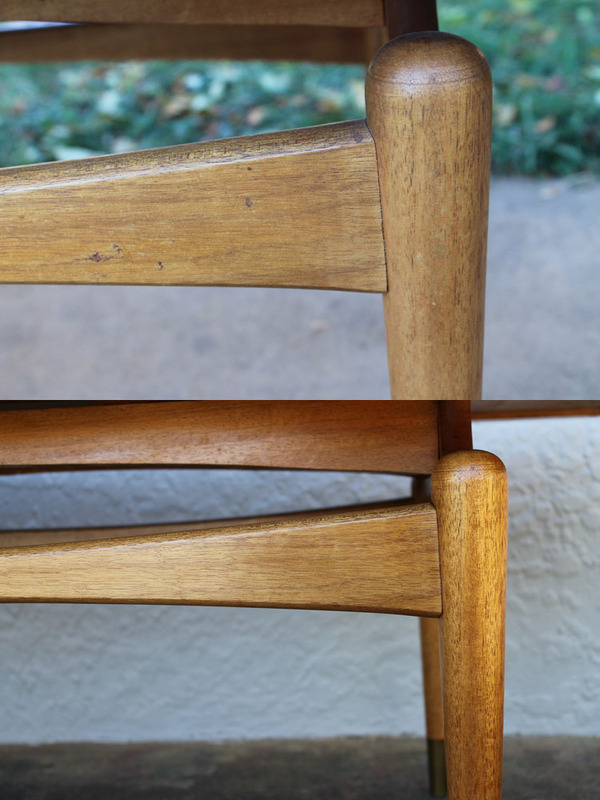 Just how CLEAN is your ‘new’ piece of furniture? Auctions, Markets, eBay, 2nd hand stores, Op Shops, Specialist stores are just a few of the many places where you can find that special piece of furniture for your home, and a truth that comes with every item, be it – vintage/retro/industrial/mid century/antique is that it is ‘2nd hand’. Someone, somewhere before you has used it, loved it, and perhaps eventually had enough of it to move it on. Now is this a bad thing? Of course it’s not! It’s just something to keep in mind when you are looking to purchase your next item as you’ll see below. 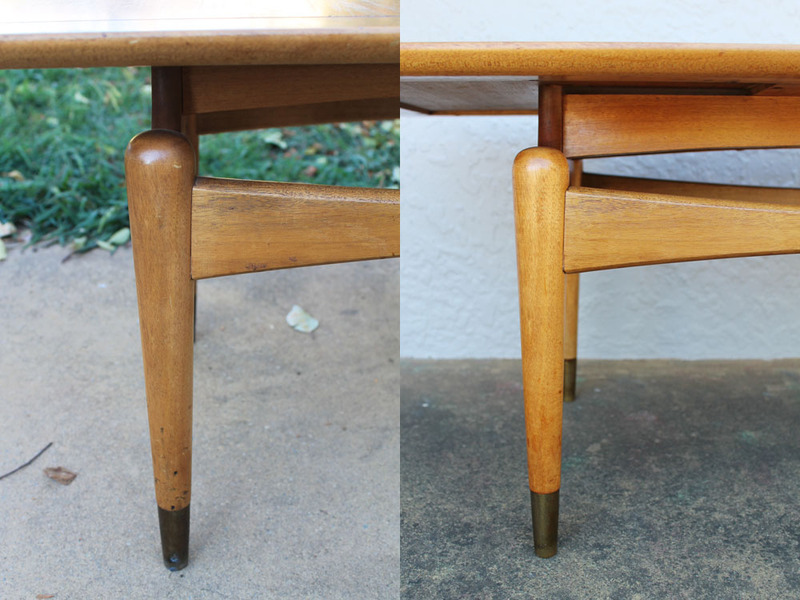 For this example I’m using a beautiful Queensland maple coffee table that I purchased in Melbourne last year. I loved it’s style and use of materials and surely enough, it made the 600km journey back home with me. Now when you’re shopping, the lighting in some stores can sometimes be a little dark making it hard to see just what condition the item is in. Now due to this being what I do it is no big deal, however for the single/couple looking for a nice coffee table for their living room buying something that is dirty, or that hasn’t been cleaned correctly, or been checked over and the necessary repairs made it can turn into a real headache. That’s why when you purchase any item from us (or from any reputable store for that matter, be it online or bricks and mortar) you can feel 100% confident that the item has been thoroughly gone over. 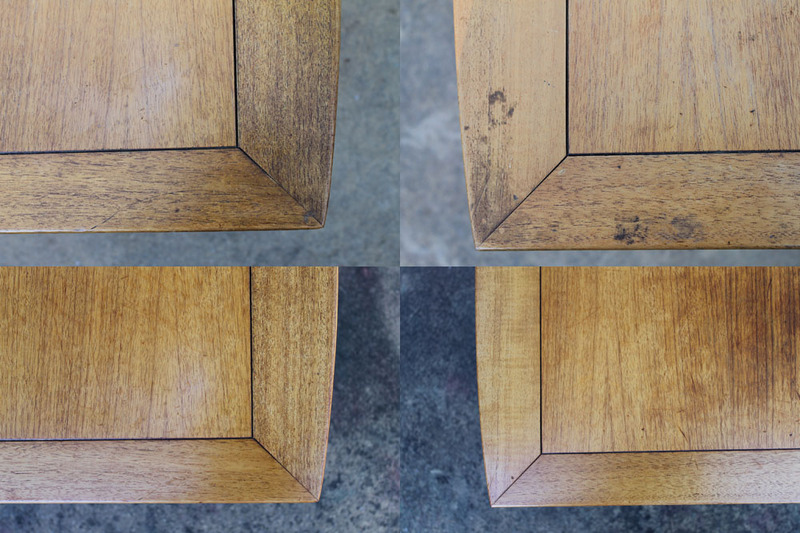 Any necessary repairs will have been carried out, ensuring all parts are functioning as they should, cleaned to a high standard (able to place it straight into your home) and the finish attended to (whether it be oiled/polished/waxed/varnished/etc). Below you will find before and after photos. 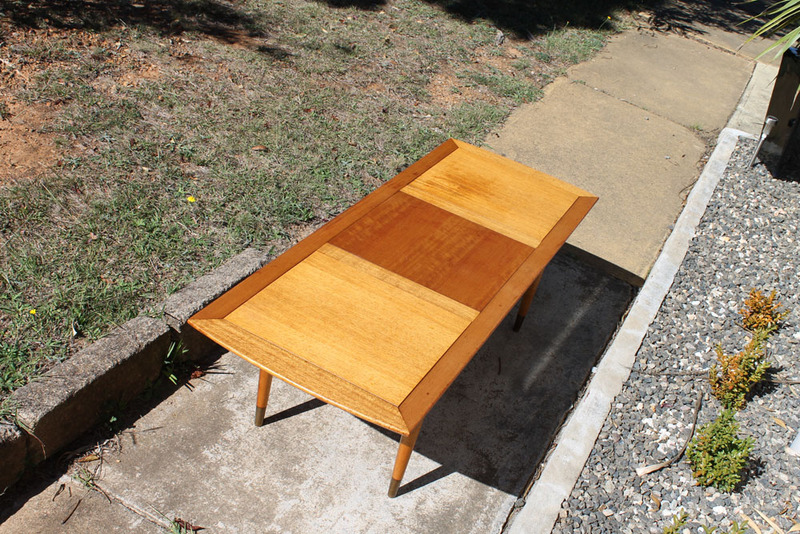 Could you imagine putting this coffee table straight into your lounge room in it’s before state? Having your phone, wallet, TV remote sitting on 50+ years of dirt, smoke and grease build up? No way! And as you’ll see, the difference is amazing. Dirty Water! 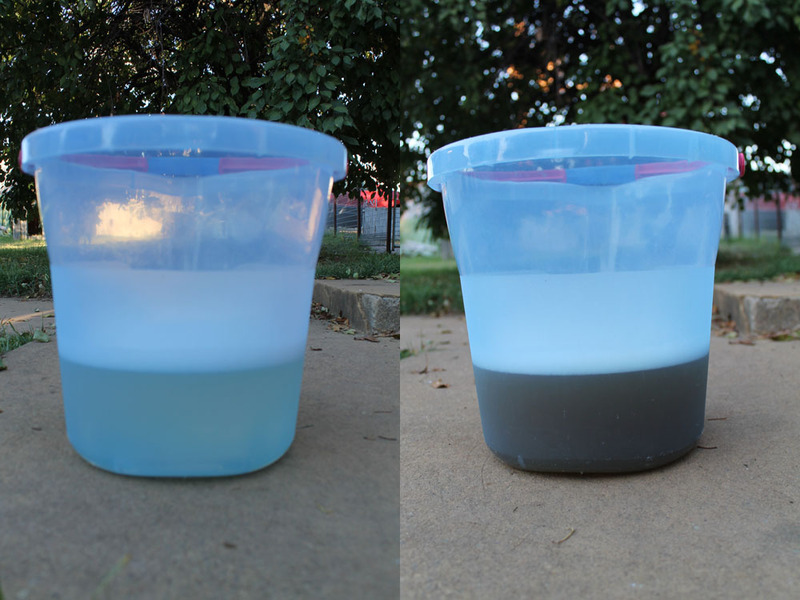 Before and after images of the soapy water used for cleaning the coffee table! Before and after pictures. Thoroughly Cleaned & Oiled. Support rail and top of legs. Before & After. 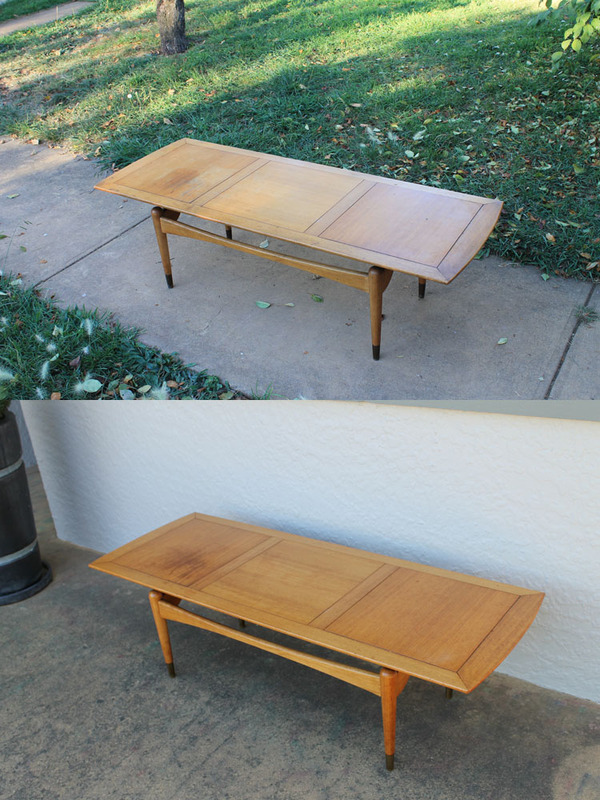 Top corners of the coffee table – Before & After. Cleaned & Oiled. Look at the life brought back into the timber! Amazing. In full sun! The sectional top has the grain running at 90 degrees to each other which creates a huge impact.